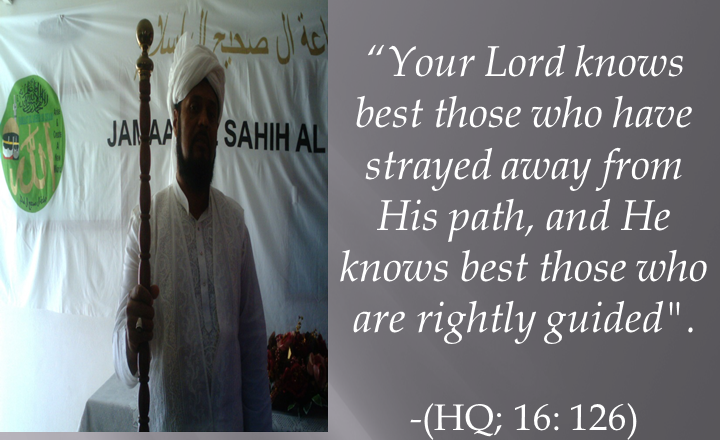 Allah took away their light, and left them in utter darkness - (so that) they do not see. (They are) Deaf, dumb (and) blind, so they will not turn back. (2: 18-19). These days, what are we hearing?! Basharat Naveed is posing himself as an innocent little boy, as if he never said what he said…!!! And now he seeks to know who spread that dirty talk in his stead! Because, the poor guy, he never said anything, but he does not know that we have “THE STRONG EVIDENCE” against him. Therefore, he now requests that that particular person be presented before him, to confront him, as if he does not know the individual in question! Now, it is for us to bring that person before him. He has a mandate to boycott us, not bidding us Salam, and not to invite us, and now he is inviting us to bring that person to him. Therefore, he shall sit in his office chair (like a good boy) and it is now for us to come to Dar-us-Salam to present to him the person. After refuting him on the bad words he uttered, now he is ready to accept that the deed done (in the UK) was a NOBLE ACTION and he went as far as to say: “May Allah reward you for your good act.” He is trying to free himself from his own web of lies. Like Allah says in the Quran: “They hide (their evil intentions and deeds) from the people, but they cannot hide (them) from Allah.” He did not think that when he said these words with someone, that Allah was not present between them, and he verily used such words which has not pleased Allah at all. 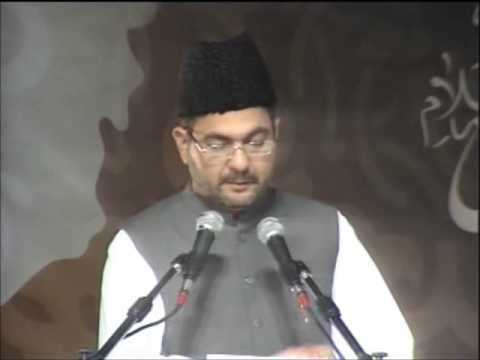 Mullahs like Basharat Naveed are found in the same categories of imbeciles who have “trampled the teachings of the Promised Messiah to dust”; not only the teachings of the Promised Messiah (as) but that also of the Quran (the verses therein) and also the sayings of the noble prophet Hazrat Muhammad (pbuh). They have trampled all these teachings to dust. If nowadays you are seeing these types of Mullahs in the Jamaat of the Promised Messiah (as), then you must realise how the teachings of the Jamaat of the Promised Messiah (as) have been flouted. That is why Allah (swt) has raised this humble servant as His Khalifatullah, and Muhyi-ud-Din to do a good cleaning up and to revive the true teachings (of Islam). But unfortunately, when Allah (swt) sent His light on earth, in this era, instead of receiving light from which they can illumine themselves, the light blinds them (makes them lose their sight). They do not see the divine light and thus in their imbecility, they talk nonsense. 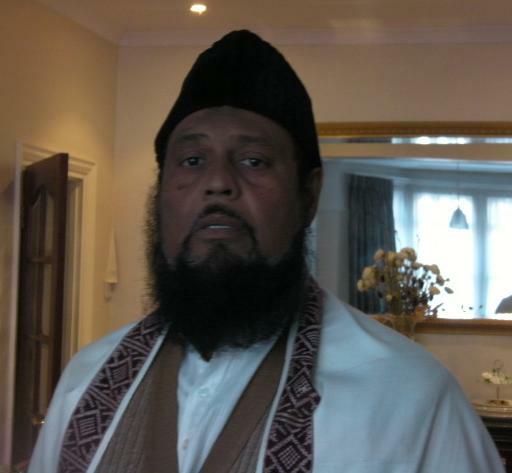 In their visceral hatred of the Divine Manifestation in Mauritius in the person of Hadhrat Munir Ahmad Azim Saheb (atba) and his Jamaat, the Jamaat Ul Sahih Al Islam International, the Ahmadi Maulvis are aping the worst of Mullahs under the canopy of the heavens. While they preach "love for all", their practice betrays the hatred they harbour for the Messenger of Allah (swt) of this era and his family and disciples. In his Friday Sermon of 20 March 2015 ~ (28 Jamad’ul Awwal 1436 Hijri) the Khalifatullah (atba) spoke profoundly on this mindset of the abased Maulvis in the Jamaat-e-Ahmadiyya who seek to instill poison and hatred on the common folks- illustrating the situation with reference to the actual conduct of a Pakistani-Maulvi among the Mauritian Ahmadis these days. Today my Friday Sermon shall be on the words which the Pakistani missionary-in-charge (Basharat Naveed) pronounced on the bone-marrow (stem cells) transplant which the Ummul Mumineen Sadr Saheba did for her sister in England last December. In reply to questions which some people asked him on that transplant, he said: “In Islam one is allowed to eat pork if necessary”. Thus, we see that each time the imbeciles who are found in the Jamaat of Hazrat Massih Ma’ud (as) open their mouth, in their imbecility or inability to reply to questions put before them, they give such answers which are against the teachings of Hazrat Massih Ma’ud (as) and they trample those pure teachings. If today there are so many problems in the Jamaat Ahmadiyya, whereby instead of lots of progress in the spiritual field, there is decadence, it is all because of these kinds of missionaries. They display the baseness in which they have fallen in respect to their reasoning. They have lost all credibility as missionaries in the Jamaat of Hazrat Massih Ma’ud (as). Before coming on the subject of today’s sermon, I would like to talk a little on the visit of the actual Prime Minister of India, Narendra Modi who came to Mauritius on 11 March 2015 as Chief Guest of Honour for the 47th Anniversary of Independence Day (12 March 1968) of our country. 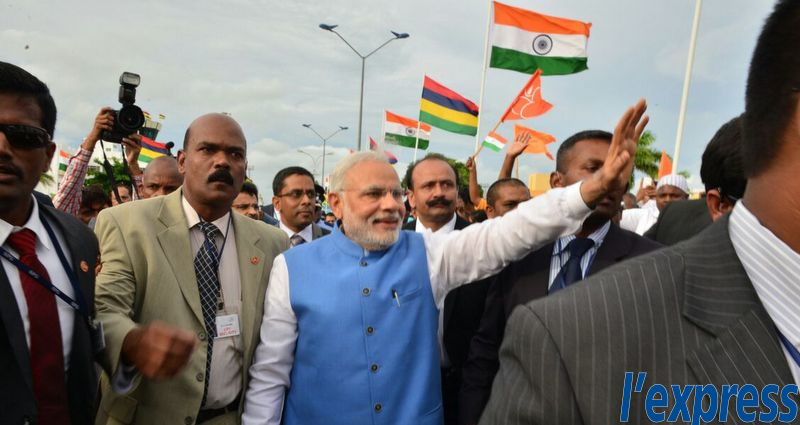 Honourable Narendra Modi was all praise for Mauritius and the exceptional bond which binds our two countries. The humility he showed as a statesman was much appreciated, as political leaders should be good models for society at large, intrinsically as well as extrinsically. Honourable Narendra Modi graced the National Assembly with his presence yesterday and axed his speech on the celebration of both the freedom and also the struggles which Mauritius had to do to get its independence. He also reminiscence the Dandi March led by the Mahatma Gandhi on the 12 March 1930 paving the way towards the Independence of India. We, the Jamaat Ul Sahih Al Islam sincerely hope that the Honourable Prime Minister of India Narendra Modi proves to be a good statesman for the betterment of India as a whole, and to connect India to the global community in peace, justice, liberty, and noble aspirations and plans. Water is Life. But sometimes, water is a means of destruction also. Too much of something can spoil it altogether. Likewise, man needs water to live. Water is a blessing of God. Rain falls to revive the dead earth, and provide man with the necessary water to keep himself alive. Very often when man’s action is not guided according to the Divine will, but according to his own passions, God Almighty uses the elements of nature against him, and thus what may seem like a natural calamity is in fact a planned divine punishment, to give mankind a wake-up call, to make them realise their error and return to the worship of the sole God who have provided them all their necessities and to whom they should be thankful. 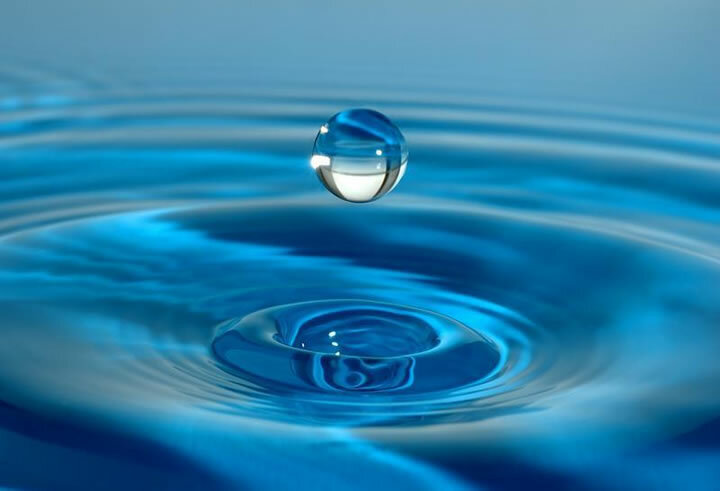 Water is life, but the same water can become a means of death. God Almighty used rain water to flood the town and drown the people of Noah (as). The same water which man absolutely needs to survive becomes a lethal weapon by Allah to punish those whom He has condemned as culprits when they discard the divine warnings through His Prophets and Messengers and do as per their own will. Water also was used as a means for God to rescue His Prophet, Moses (as) and his followers. He opened the sea to save His servants and bring the destruction of Pharaoh and his companions. Since the start of the Divine Manifestation of this age, we have witnessed many calamities, but the exceptional nature of the Divine Manifestation, with the advent of a Messenger of Allah is that Allah through His Messenger already gives warnings to mankind before actually seizing mankind, or some people in particular (as per the divine revelations) for their misdeeds. And Allah also affirms in the Holy Quran that the consequences of the people who commit evil shall be evil in return, and all misgivings and calamities which befall them are consequences of their corruption and evil deeds and thoughts. Allah through His prophets warns of the spread of diseases, and all sorts of calamities if people do not reform their lives and start acting righteously. Therefore, people should not blame God for any calamity but should blame themselves. We should never make a display of our good deeds. Islam attaches great importance to sincerity. This is one of the reasons why we have been warned against what is called Ar-Riya and Sumrah. Ar-Riya is commonly called “ostentation”, “vanity” or “doing deeds to show others.” Sumrah on the other hand refers to a deed we do for the sole purpose for others to talk about it. In several ahadith, the Holy Prophet Hazrat Muhammad (pbuh) taught us that one of the qualities of a good believer is that he does not make known his good deeds in public. He (pbuh) said: “Seven people will be shaded by Allah on the Day when there will be no shade but His... a person who spends in charity and conceals it such that his right hand does not know what his left hand has given...” (Bukhari, Muslim).